Ever since I saw Isabel's pantaloons at Farm Chicks, I wanted some too. Then last summer when Linda was visiting, she had some cute ones too. I definitely had pantaloon envy and have been looking for some to call my own. I think they are just too adorable poking out from under a skirt or dress. I decided if I was going to own some pantaloons, that I would probably have to make some for myself so that's what I did. 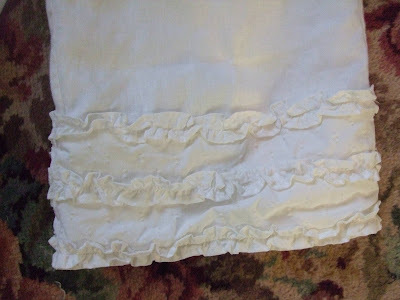 Yesterday I was in my very messy sewing room and I picked up a Shabby Chic curtain panel off the floor and spied the ruffles running along one side. (Insert lightbulb moment here!) 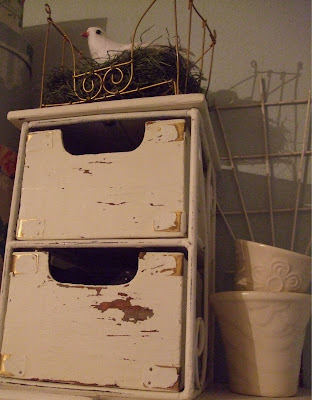 I had bought that panel at a thrift store awhile back not really knowing what to do with it, but hello, it had ruffles, it was white, it had swiss dots and it was cheap. Enough said. 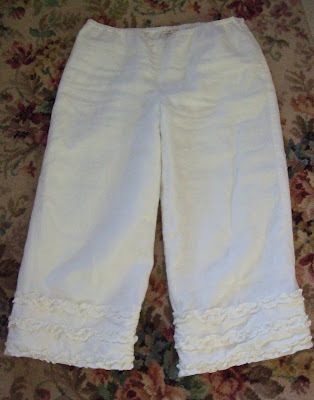 I decided that I would just cut off the ruffled part and sew it on the bottom of my pants and voila! Instant adorable and super duper easy! I think I will just have to wear these to a Christmas Potluck I am going to tonight. What fun! I even have enough of the ruffles left to put on a cute apron so that will be another project to work on later. For your viewing pleasure, here are some more White Wednesday pictures from around my house. Hope your week is going great! I'll be back soon to show you those Christmas ornaments I made. Oh, Lisa, love your ruffled pantaloons! What a great idea! 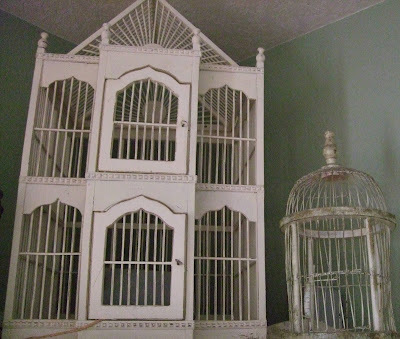 And all those lovely whites in your home are just wonderful. I too love Isabel's pantaloons. 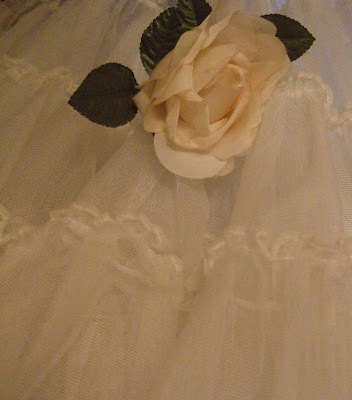 I have a ruffly red pair of bloomers (shorter), but don't wear them. Your post makes it look easy enough to make a longer, more wearable style, while recycling at the same time. Thanks Lisa! How adorable are those ruffly pantaloons?!!! So cleaver! Can't wait to see the apron. 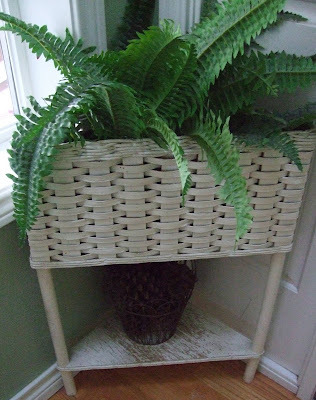 Hi Lisa; What a great idea, they turned out so cute,, great job. I would not have thought of that.. I love all of your pretty white pretties... have a great week. Pantaloons, what a cute idea! 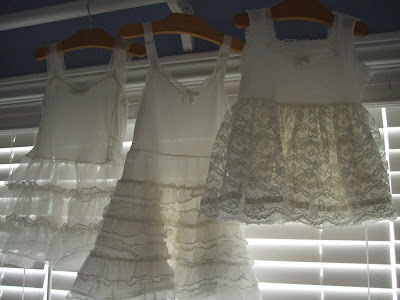 I love the childs dresses/ slips hanging! I -LOVE- your pantaloons! Love Love 'em! I love pantaloons, I'm wearing some to work today! I had so much fun hanging out with you this past week! Loved those pantaloons! Now I have pantaloon envy!! Too cute! !